Vintage Magic has auctioned, brokered, or sold nearly every important Magic: The Gathering rarity in the world. With over 17 years of consignment management experience, our commitment to you is to maximize the value of your collection. As our client, expect the highest level of communication, performance, professionalism, and reporting in the world. We also travel for significant collections and offer cash advances up to 1 million USD. 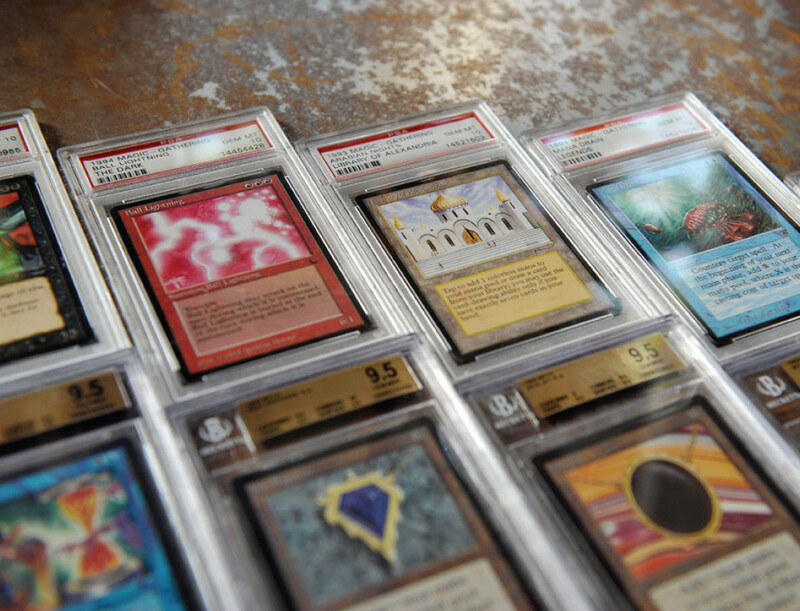 Why should you consign your collection to Vintage Magic? What item(s) are accepted in the Vintage Magic Consignment Program? What item(s) are you not accepted in the Vintage Magic Consignment Program? How does the Vintage Magic Consignment Process work? • Vintage Magic will appraise any item(s) necessary and utilize third party grading companies – BGS & PSA – as necessary to increase the value of your collection. • As your collectibles are being sold, you receive monthly payments as well as a full ledger of every transaction and sale. • Once your entire collection has been sold, the consignment will end. • The general time frame to sell a collection varies. We will determine an accurate estimate during the consultation process. How do I start the consignment process? To begin your consignment, click the contact us button below. A Vintage Magic Representative will contact you within 48 hours. Thank you again for your business interest in the Vintage Magic Consignment Program!